Home > ‘Kid President’ talks about extended breastfeeding and it’s awesome! 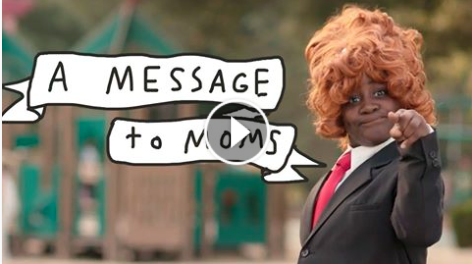 ‘Kid President’ talks about extended breastfeeding and it’s awesome! Kid president is at it again with his adorable charm and wise words. He recently created a short for Mother’s Day about supporting mothers. He pointed out that in our society it’s common and somewhat accepted for mothers to shame their peers based on their parenting choices. 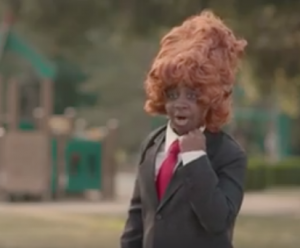 In his segment Kid president dons a ridiculous wig and reveals the character of a judgmental mother. In his skit he says, “Moms, don’t Judge Judy each other or battle another mom because she makes a different choice with her kid. He’s right! We are all doing the best we can with the end goal of raising amazing people. Mother’s day is tomorrow so here’s to you, Moms. Be proud and confident. You’re doing a great job.